In truth, I haven’t watched Charlie and the Chocolate Factory for years. That was until last night. While watching the movie I had forgotten just how horrid some of those kids are and how my heart breaks every time that Charlie doesn’t get the golden ticket – even though I know he has to get one. It is like watching The Tudors and getting emotionally invested in Anne Boleyn only to know that in the foreseeable future she is going to get to be executed. In any case, the movie reminded me of the name Veruca – a name that is not heard about often or at all, and with good reason I suppose as well. Veruca (pronounced: ve-ROO-kah) is a Latin name meaning ‘wart’. Right off the bat, the name has a horrible meaning though that hasn’t stopped Courtney and Mallory from gaining popular support from the masses. With all due respect – it is the character that would stop most people who are not turned off from the meaning from this name. Roald Dahl made up the name for the spoilt and arrogant Miss Salt in his novel Charlie and the Chocolate Factory and when she introduces herself in the film adaptation and Wonka replies that he thought ‘Veruca was a type of wart’ – I couldn’t help laughing. She is also ‘bad nut’ of the bunch and is spoilt as spoilt can be. I don’t think any parent wishes for their child to be demanding, arrogant and horrid so that would be reason enough for parents to stay clear from the name. However, the other girl that gets to go inside Willy Wonka’s factory, Violet, has managed to not harm her name at all. Though that probably comes about because Violet was a name used before the novel and has a lovely meaning – and in all honesty, I think she is probably the best kid after Charlie – don’t judge me but what is she other than someone who is a extremely competitive and likes to chew gum. There are redeeming qualities within Violet Beauregard – there are none in Miss Veruca Salt. Plus Violet also has the help of being a main character in the A Series of Unfortunate Events book series and that Violet is quite the good role model. Now back to Veruca. On the outside, without knowing anything other than just looking at the name, I find that it is a pretty name. I am partial to a name starting with V – but this is one I will not be using – though in reality it would be more to do with the wart connotation then anything else. Kids will surely see the film or read the book so I wouldn’t be surprised if some childhood teasing came if a child was given that name but I don’t believe that should be a reason to not name a child something. Kids will find a way to bully anything – it is just that I would prefer a child to be named after a more satisfactory literary character than one who is spoilt, arrogant – and has a name that means wart. I truly hope no parent at all uses this name. The wart thing is just horrid. It's such a shame that this is the name of a wart. The Latin word for wart is actually VeRRuca. It's rare for anyone to use Latin terms outside of health professionals, so I wouldn't discount the name! 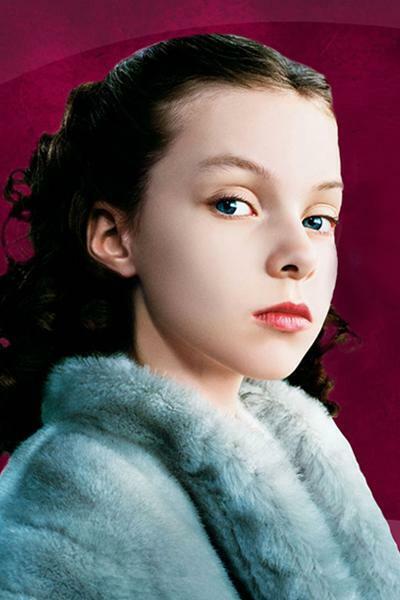 Besides, the name Veruca is a legitimate and beautiful girls name that has existed before Roald Dahl "made it up". It's Slavic and means Vivacious and strong-willed. My great grandma's name was Veruca. Any name can be ridiculed some way or another, it's unfortunate that this author felt the need to spread uninformed mockery of a nice name on the internet. Sia (the famous singer)'s name is pronounced the same as the Spanish word for chair. Would you like to write a bit about how that name is no good either? Lol.